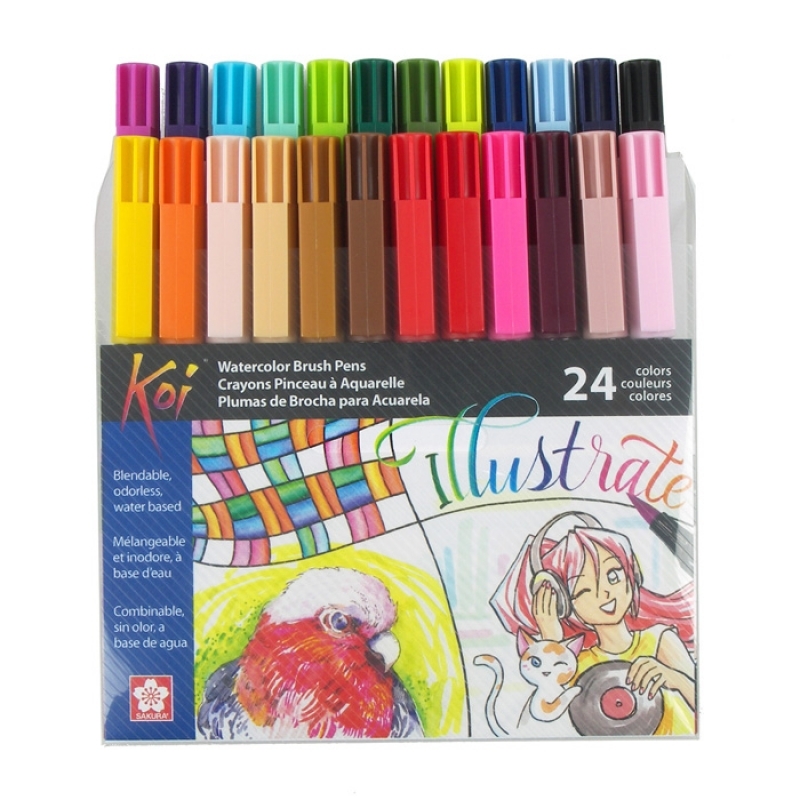 Colouring your artwork is easy, anywhere, anytime with the no-mess Koi Colouring Brush pens! 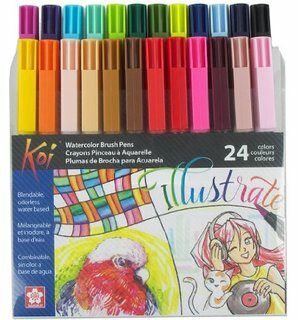 These pens perform similar to an artist brush. 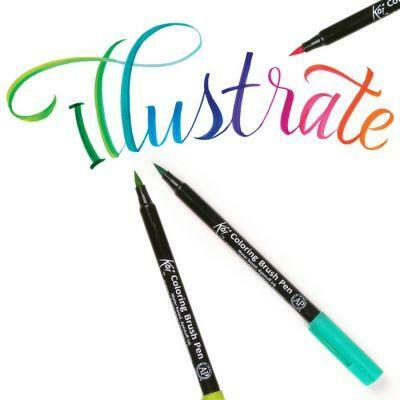 Make fine, medium or bold brush strokes just by changing the amount of pressure to the nib. The durable tip will quickly spring back to its original shape! 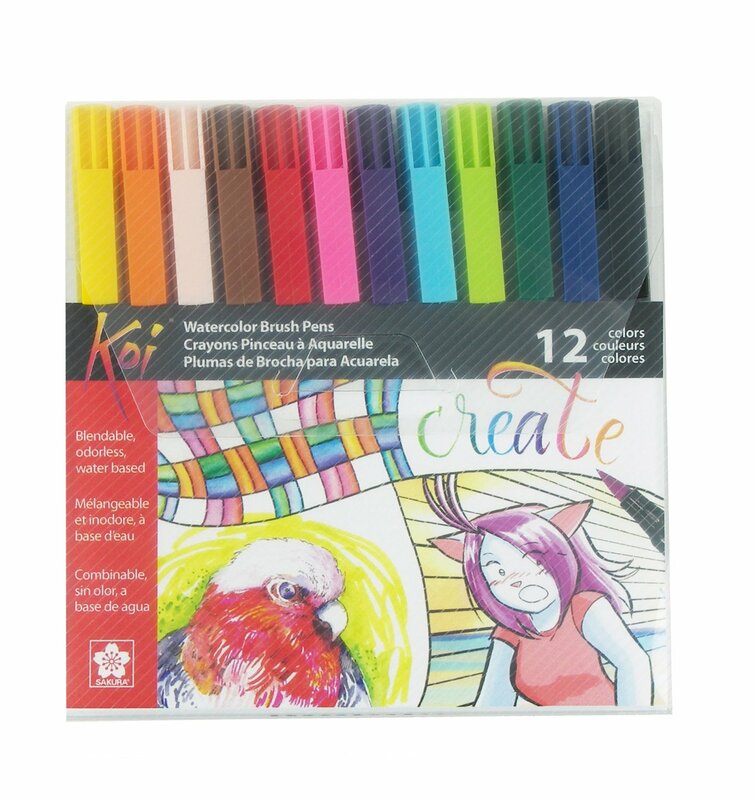 The odorless, water-based solvent facilitates smooth blending and layering of colours. 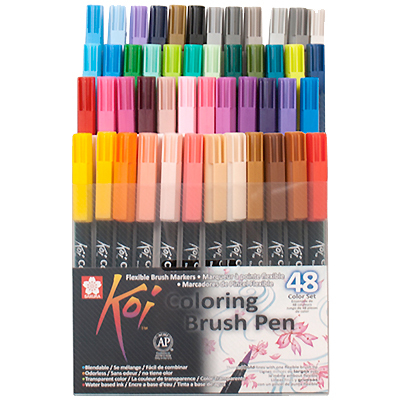 Koi Colouring Brushes are a convenient way to add vibrant color to any sketch, journal, cartoon, illustration, or rubber stamps. 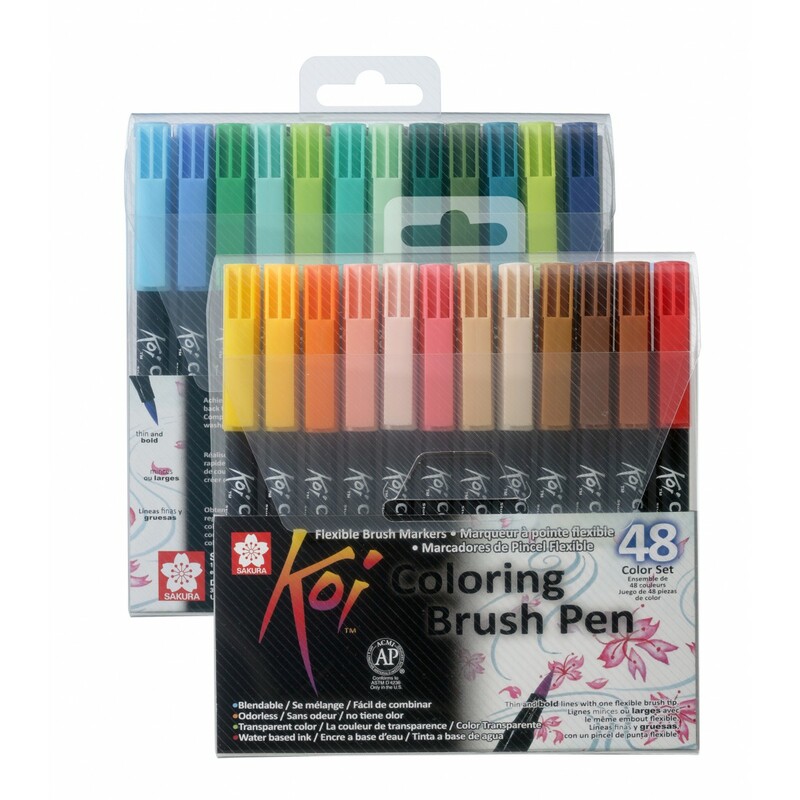 The 48 transparent ink colors blend easily to create a multitude of of hues and effects. Use the colourless blender pen to create seamless washes and colour gradations. 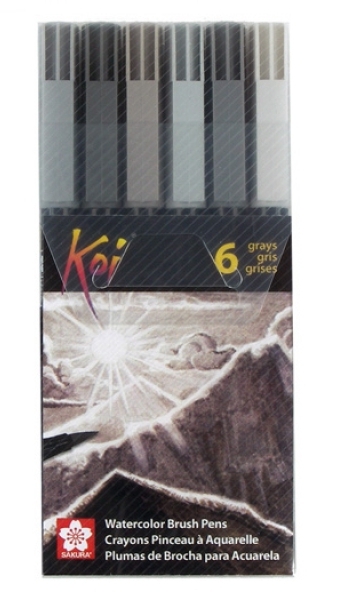 • 6 grey, 12, 24 & 48 assorted colour sets packaged in a reusable plastic case with front clasp. • For best results, use on a heavy weight, plate-finish paper (smooth but not coated) or watercolor paper.